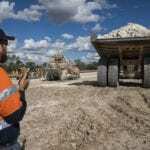 Mining services company Macmahon has launched LiveHire’s Live Talent Community technology across the company to support its growing recruitment needs for new contracts. The technology, described as a productivity and collaboration software platform for talent management, provides Macmahon with an enterprise scale, human-cloud hiring ecosystem. Macmahon is experiencing high resourcing demands after securing several key contracts over the past 12 months. 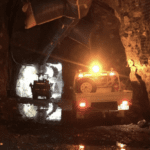 The work included a five-year, $250 million contract at Dacian Gold’s Mt Morgans gold operation in the Goldfields of Western Australia, and a $350 million contract with QCoal Group at its majority-owned Byerwen coal mine in the Bowen Basin of Queensland. 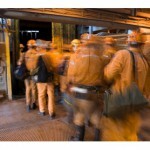 The Perth-based contractor is the first mining services company to implement the LiveHire software platform. In July 2017, LiveHire signed its first mining company — Pilbara iron ore miner Roy Hill. Macmahon human resources manager Katherine Blacklock said the contractor needed to look outside the usual channels for a service that would provide fast and easy uptake of new candidates, while also capturing the broad skills of its current workforce. “As a mining contractor with a workforce across multiple projects, it’s imperative that we source the highest calibre of talent and allocate our existing workforce where their skills are best utilised,” Blacklock said. Macmahon launched the Talent Community two weeks after signing a contract with LiveHire. The mining services company plans to use the technology to engage with past, current and future candidates as part of a proactive sourcing strategy to drive increased recruitment productivity, quality of hire and diversity of hire. It is expected Macmahon will initially invite past applicants to join its Live Talent Community to provide them with the first opportunity to hear about new roles before they are advertised elsewhere. LiveHire co-founder and growth director Mike Haywood said Macmahon’s focus on workforce diversity and agility was ideally suited to the proactive recruitment process that the talent community solution enabled. “The mining services industry represents a large growth industry for LiveHire, given its employment growth, investment focus and high turnover nature of employment,” Haywood said.